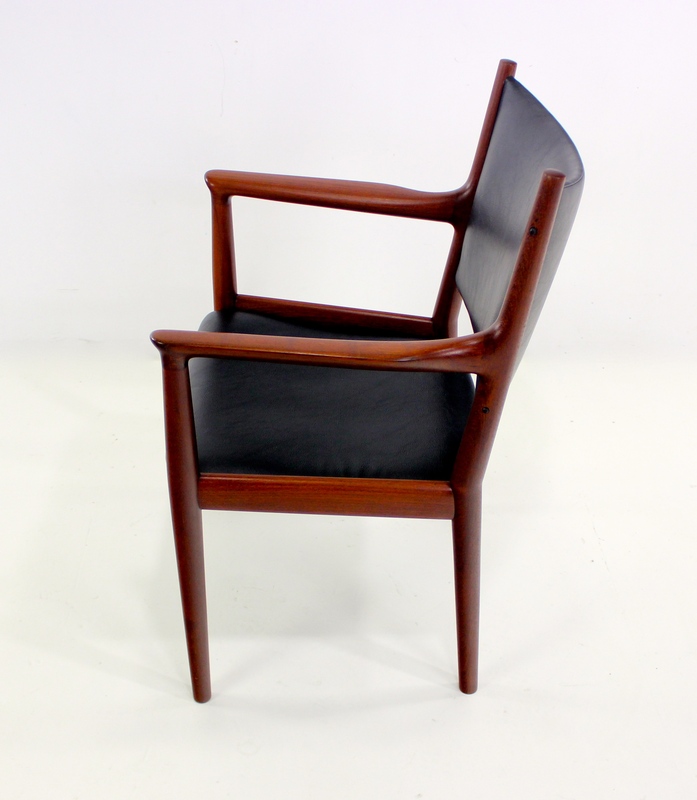 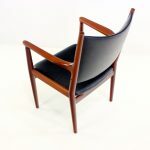 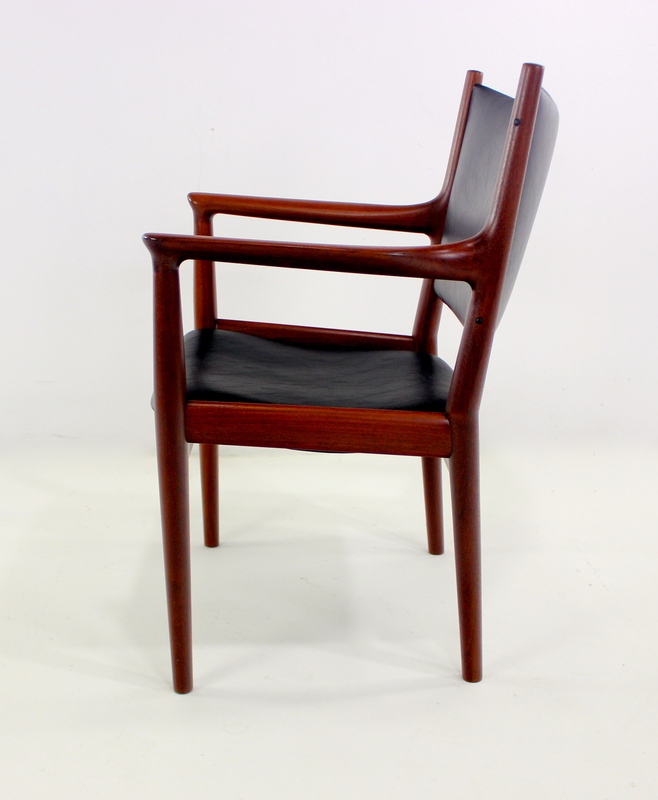 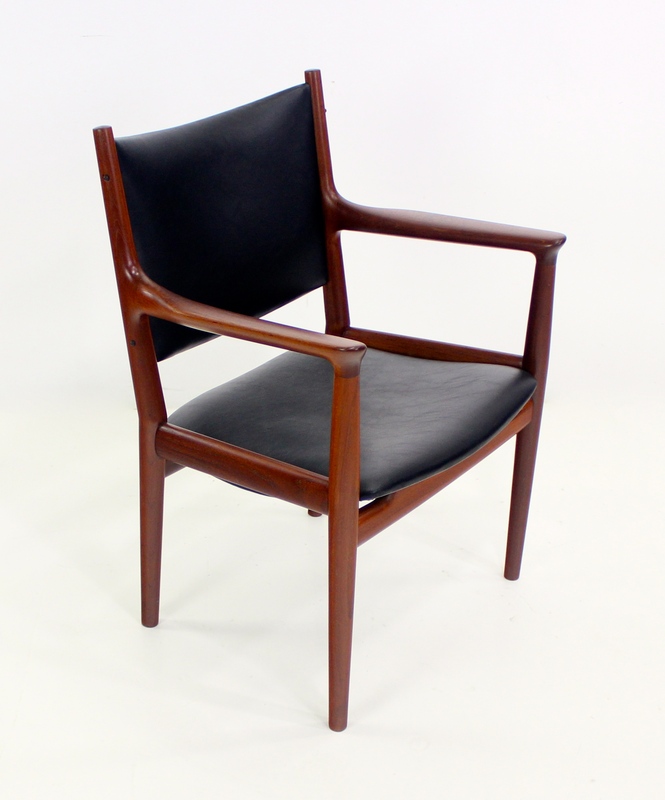 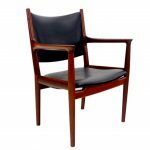 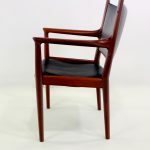 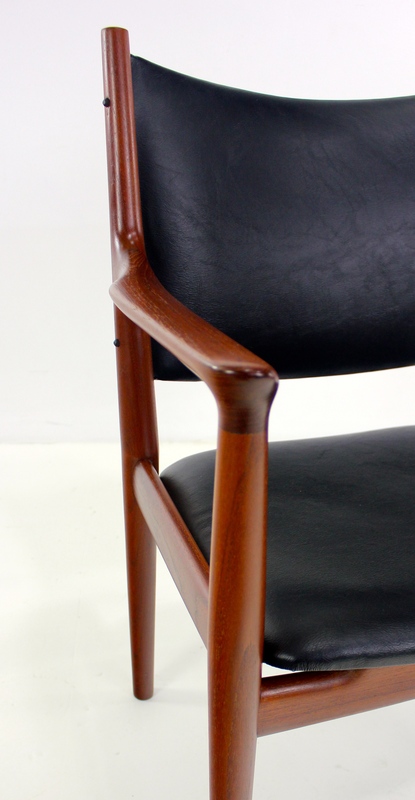 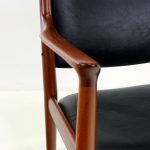 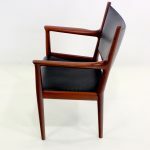 Danish Modern armchair designed by Hans Wegner. 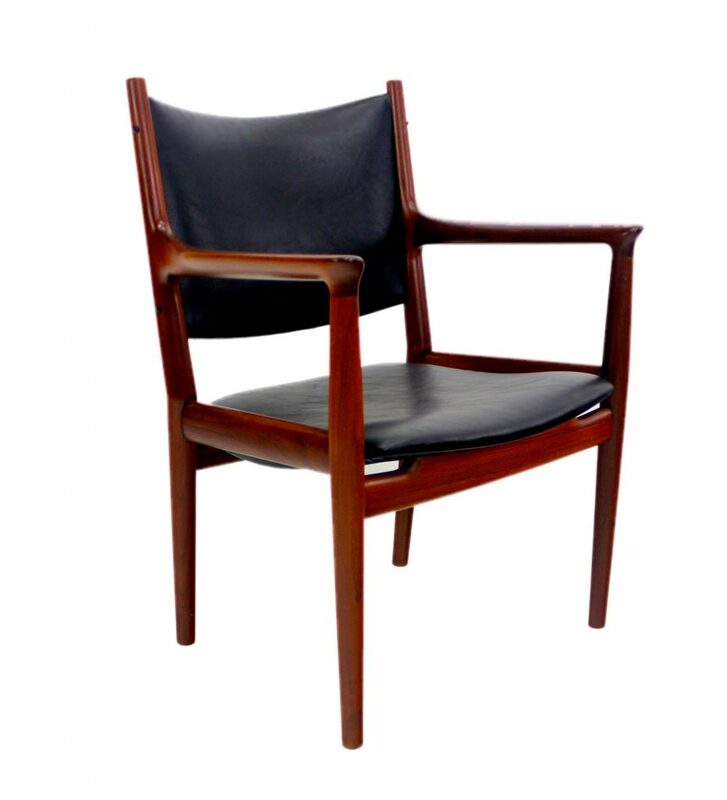 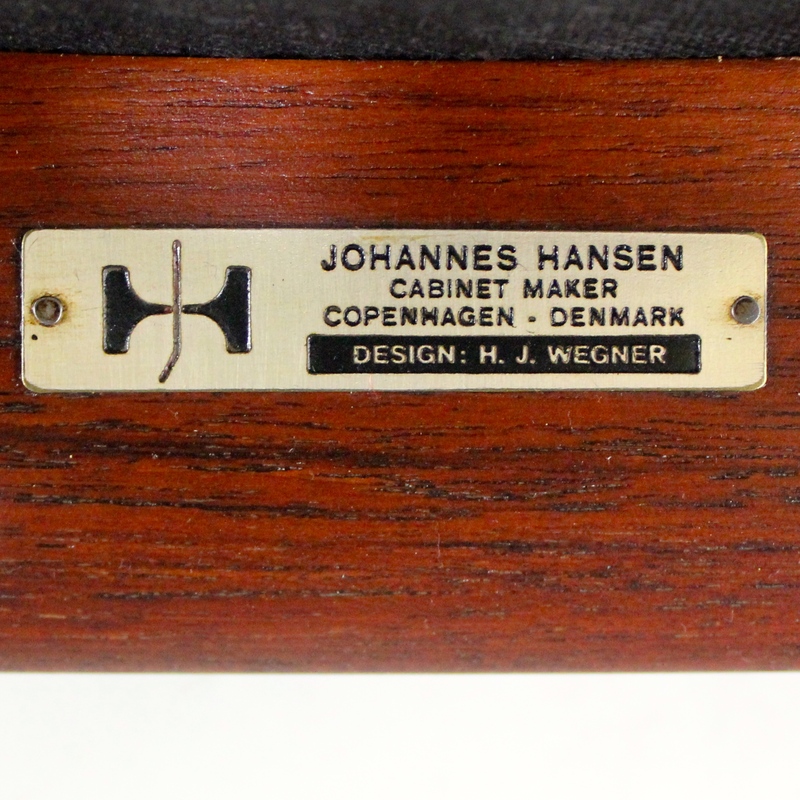 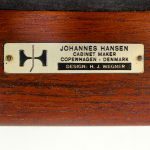 A perfect example of Wegner’s extraordinary style and superior craftsmanship. 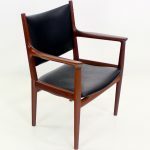 Newly upholstered in highest quality black leatherette.